Jen is enjoying a romantic getaway with her wealthy boyfriend, which is suddenly disrupted when his sleazy friends arrive for an unannounced hunting trip. Tension mounts until the situation abruptly––and viciously––intensifies, culminating in a shocking act that leaves Jen left for dead. Unfortunately for her assailants, Jen survives and reemerges with a relentless, wrathful intent: revenge. A white-knuckle tale of transgression and transformation, REVENGE gloriously blurs the lines of vengeance and survival while delivering a ferocious dissection of gender and genre. 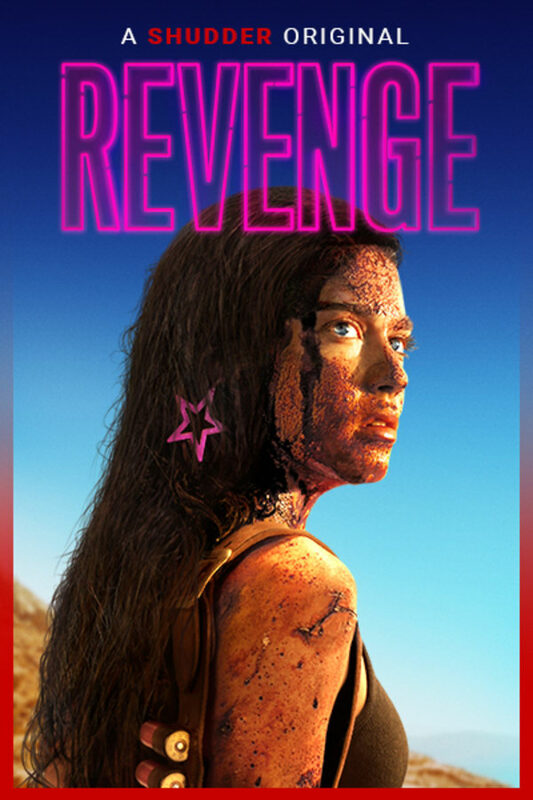 Director Coralie Fargeat announces her stunning arrival, painting a crimson canvas of hypnotic beauty and bloody retribution in this razor-sharp feminist subversion of the revenge-thriller. A SHUDDER ORIGINAL. Great revenge flick! However, some parts were very unrealistic. Could have done with some prolonged torture lol. There is a major suspension of disbelief required when the protagonist sustains an injury that would kill anyone who received it and did not get medical attention quickly. Even with surgery and full spectrum antibiotics she would be essentially crippled for at least a few weeks. Also, the title "Revenge" is a misnomer. She isn't trying to kill them for revenge she's trying to kill them because they are trying to kill her. A better title would be "Survival". Getting past that, this is a very well directed, intense, edge of your seat thriller.